A few hours after becoming European Journalist of the Year, I started travelling and I still haven’t stopped. The dinner jacket went back in the wardrobe, the unexpected, undeserved, star-shaped trophy went up in the living room, and I was off. 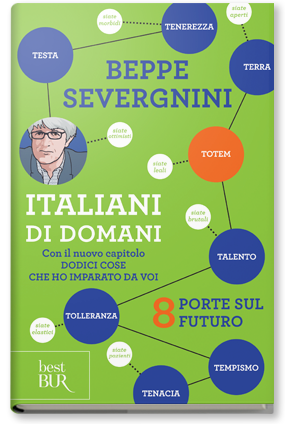 In the past twelve months, I have visited forty towns in Italy to promote my latest book, "La testa degli italiani", which will come out in English, French, German and Dutch in 2006. I’ve also been to India, Russia, the USA (three times – to the South, South East and South West), Scandinavia, Switzerland, Scotland, France, Germany, Austria, the Czech Republic, Poland and Spain (twice – Barcelona and Madrid). At the time of writing, I’m on a plane from Beijing to Shanghai. Then I’m off to see what the Philippines is like. There were different reasons for each trip: talks, conferences, lectures, articles to write, exploring to do and visits to make. These were marvellous excuses, but they were excuses. The truth is that I wanted to see again a world that is changing fast. A nice long study tour at the age of 48 is just the thing. Otherwise, you might catch MACS (Middle-Aged Columnist’s Syndrome) as, divorced from current affairs, you begin to rework your memories. It’s a form of compensation. Something odd happens to journalists, and not just in Italy. When they’re young and have lots to say, they have nowhere to say it. Then when they know where – newspapers, television, talks – they have nothing left to say. Travelling has another advantage. You learn to see your own country from a distance. This is a useful perspective, especially if the country is Italy which, as any Italian will tell you, is as rich-tasting as some of its desserts, and should be taken in equally small doses. The beautiful, baffling place that produced both Botticelli and Berlusconi can have you fuming and then purring in the space of a hundred metres, or ten minutes. Being Italian is a full-time job. We never forget who we are, and have fun confusing anyone who is looking on. There’s another thing that I’ve realised in these twelve months of comings and goings. Italy today is different from its friends and competitors in the EU, or the United States, India or China. It’s not just economics, politics, public administration or the legal system. It’s a question of mood, which is no less important. National mood is a serious matter. It doesn’t depend only on the fact that we live in times of peace. We have enjoyed this good fortune for some time – thanks to the European Union, it should be stressed – but that is appreciated only by the over-seventies, who remember a war on their doorstep. Neither is a nation’s mood a question of purchasing power. Some people, like French economist Serge Latouche in "Survivre au développement", even invite us to resist colonisation by socially constructed needs and aim instead for "voluntary simplicity" and "convivial degrowth". This could be the ace up Italy’s sleeve. Growth in 2005 will be zero, and no one does conviviality better than the Italians. So what does a nation’s mood depend on? I’d say on the ability to feel part of a history that is going forward. Without this ability to narrate, a community does not live, it survives. It might have a good time, and spend lavishly to conceal its uncertainties and disappointments. There are some Italian fads that look very much like consolation tactics. I’m thinking about the spectacular success of lingerie outlets, which has not been followed by a similarly spectacular outburst of sexual activity. I’m thinking about our obsession with electronic gadgetry – we have almost as many cellphones as Germany for twenty million fewer inhabitants. I’m thinking about men over 45, half of whom are now gourmets while the other half cycles or gardens. At a certain age, the libido can take strange forms. What countries do still have this narrative ability? The United States has never lost it. Only the superficial fail to see that America’s strength is its taste for the future, which has more savour than any president. China and India, competing with each other and the rest of the world, have an epic vision of the current passage in their respective histories, and believe me that holds true not just for those in power. The United Kingdom has also managed to tell its story. "Cool Britannia" was a successful attempt to restore morale and narrate the nation, as well as a slick piece of marketing. Spain has done the same since the fall of the dictatorship, Germany after unification and several central and eastern European countries after their liberation. Putin would like to do the same with Russia. For lack of anything better, he has dusted off the Soviet aesthetic and epic in the national anthem, parades and the cult of the leader. What about Italy? I think the national ability to narrate was evident under Fascism. Obviously, the story wasn’t to everyone’s taste, and the ending was tragic, but Mussolini could spin a good yarn. Italy felt back in the spotlight after the war and in the Sixties, when the country discovered new wealth generated by the boom economy. Recently, there were two moments when the glow was rekindled, albeit briefly. One was our entry into the European Monetary Union, promoted by the then prime minister, Romano Prodi, and the current president of the Republic, Carlo Azeglio Ciampi. The other moment was the "contract with the Italians" that enabled Silvio Berlusconi to win re-election in 2001. The first was a success, the second is a dead letter, and we have ground to a halt. No one can make us dream together any more. Today, young Italians dream individually, and their dream is often European. The euro, e-mail, Erasmus, Easyjet and the English language are the five crucial Es that have changed many people’s lives. My fellow countrymen and women from the E-Generation, many of whom I met in Brussels, have grasped the "good fortune of living now in this age adrift", to quote a fine song by Ivano Fossati. We adult Italians struggle to understand. Only the French seem to be as depressed, and the disturbances in the banlieues aren’t helping. At bottom, we are a political generation that does not look to politics for definitive solutions. But we do want a story. We want a proposal, an idea of the Italy to come. We want something to listen to and hope in. There are four months to go until the elections. We’ll see if anyone is able to tell us this story, or if we’ll vote out of exhaustion and nausea. After all, it wouldn’t be the first time.